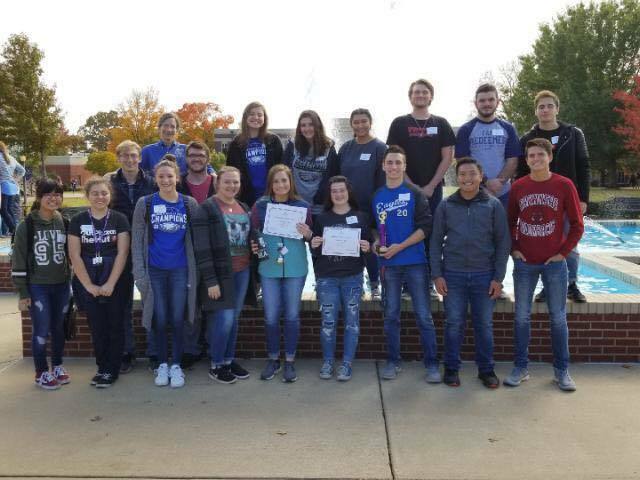 Paris High School students attended the University of the Ozarks Science Day in Clarksville on Tuesday, November 7 to compete against 12 area schools and over 200 students. Throughout the morning, students competed in a science content competition - exams in biology, chemistry and physics. PHS placed 3rd overall in the competition. Brooke Rainwater placed 1st overall individually & 3rd place in Biology. Sadie Stark placed 3rd in Chemistry. During the afternoon, students participated in labs and demonstrations presented by University faculty in areas including astronomy, genetics, botany, chemistry, sociology and psychology. Paris has attended the competition for the last 12 years.